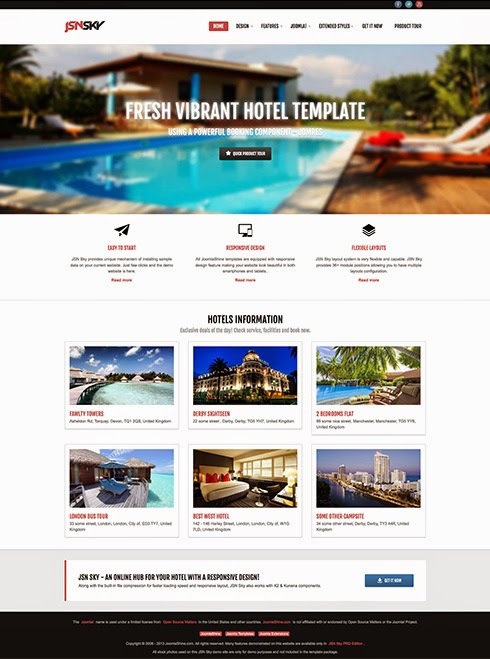 The awesome JSN Sky template will turn your hotel websites into a beautiful masterpiece that runs smoothly and elegantly. But it can serve for any kind of website that needs a clean, polished and lovable design. Take a dive into one of the most powerful Joomla templates!